On the hills outside the small rebel held city of Slavyansk forces loyal to the new government in Kiev have positioned their artillery. IN the city center the rebels are heavily fortified. The civilians are caught in the middle. 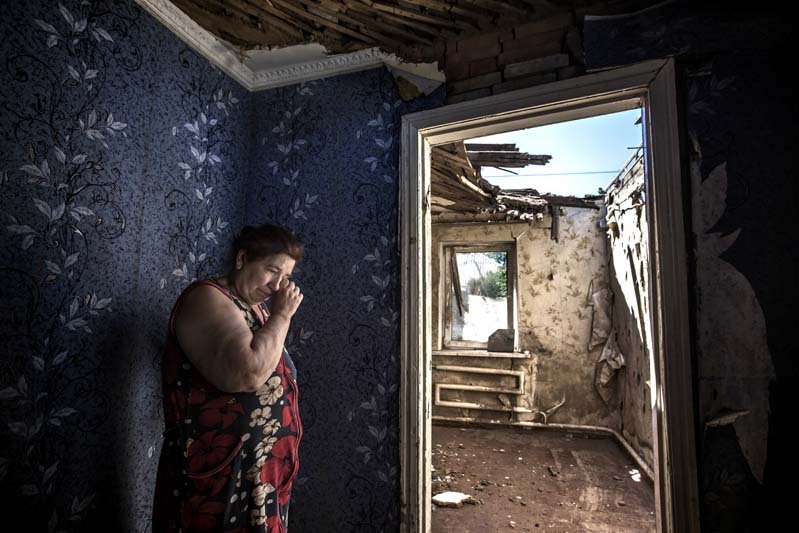 In the battle for Slavyansk Jekaterina Len have lost her house and she has no money for repairs.